CIC Prof. M Sridhar Acharyulu, directed all Universities and examining bodies in India not to charge more than Rs 2 per page of Answerbooks. CIC also asked MHRD and UGC to implement the order, holding that charging Rs 750 by Delhi University and high amounts by other bodies would breach right to equality and violate RTI. A student Mr. Abne Ingty was asked to pay Rs 750 per paper to have his own answer-sheets. He complained that high fee for a copy of answer book was against the RTI Act and Rules which prescribed Rs 2 per page as cost. The CPIO contended that Delhi University being an autonomous body was authorized to decide the fee for giving a copy of answer-book. The examination branch issued a notification in 2011 under which the students can seek the copy of the answer sheet by paying Rs 750 per test paper only from 61st day to 75th day after release of results. 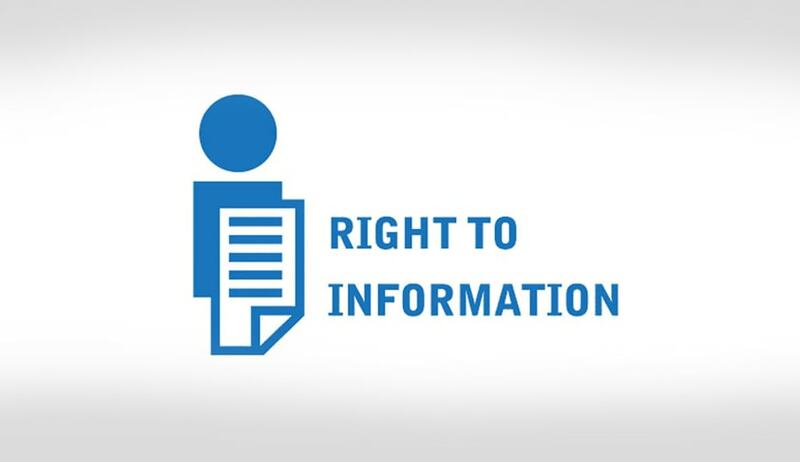 Section 7 of RTI Act says: “…provide the information on payment of such fee as may be prescribed…” Section 7(2)(a) says that the PIO has to ‘give details of further fees representing cost of providing the information as determined by him together with the calculations made to arrive at the amount in accordance with fee prescribed under sub-section(1) requesting him to deposit that fees….”. As per Section 7(2)(b), the PIO has to inform the applicant “concerning his right with respect to review the decision as to the amount of fee charged or the form of access provided…”. Rule 4 of the Right to Information (Regulation of Fee and Cost) Rules 2005, framed by the Central Government mandates the following rates, (a) rupees two for each page or actual cost in case of larger size paper. An evaluated answer book of an examinee is a combination of two different `information'. The first is the answers written by the examinee and second is the marks/assessment by the examiner... What the examinee actually wants to know is the break-up of marks given to him, that is how many marks were given by the examiner to each of his answers so that he can assess how is performance has been evaluated and whether the evaluation is proper as per his hopes and expectations. Therefore, the test for finding out whether the information is exempted or not, is not in regard to the answer book but in regard to the evaluation by the examiner”. Supreme Court of India in the case of ICAI v. Shaunak Satya [SLP (C) No. 2040/2011] had held that copies of evaluated answer-sheet cannot be under any exemption prescribed under RTI Act. In Alka Matoria vs Maharaja Ganga Singh University and Ors. [AIR 2013 Raj 126] Rajasthan High Court said: Dr. Sarvapalli Radhakrishnan Rajasthan Ayurved University, Jodhpur has provided a fees of Rs. 1,000/- so as to show the answer-book to the candidate; the University of Rajasthan has provided a fees of Rs. 580/- for obtaining certified copy of answer-book; and the University of Kota has provided for such fees for certified copy at Rs. 500/- per answer-book. Though we have noticed these different scales of fees but in our view, nothing much turns upon them either way and merely because some University has chosen to provide a higher fees, that by itself does not invest the respondent-University with any right to charge such kind of fees which is otherwise not in conformity with the requirements of overriding the provisions of the Act of 2005 and rules framed there under, operating in the field of quantum of fees. Rajasthan High Court in relation to the exorbitant fee of Rs 1000 charged by the University, observed that: “Viewed from any angle, charging of exorbitant fees of Rs.1,000/- for the purpose of providing copy of answer-book to a student by the respondent-University does not stand in conformity with the object and purpose of the Act of 2005, stands at stark conflict with the rules governing the field, and appears to be highly unreasonable. “Charging of fees of Rs.1,000/- for providing copy of answer book, in the ultimate analysis, appears to be an ill-intended attempt on the part of the respondent-University to somehow discourage the students from seeking certified copies of their answer-books. Such strange regulations only demonstrate scant respect shown by the respondent-University to the cherished object of the Act of 2005 and the principles expounded by the Hon'ble Supreme Court in Aditya Bandopadhyay’s case (supra). The offending condition in the regulation is required to be quashed”. Supreme Court Bench has dismissed the SLP filed by University against this order, which made the order of Rajasthan HC a final one and applicable to entire country as law under Article 142 of Constitution. Delhi University made separate set of Rules under RTI Act in the form of manual no. 17 which authorizes them only to collect Rs 2 for each page. Commission has power and function under Section 18(1) (d) to receive and inquire into a complaint from any person who has been required to pay an amount of fee which he or she considers unreasonable. Under Section 19(8) (a), commission has power to require the public authority to take any such steps as may be necessary to secure compliance with the provisions of the Act by making necessary changes in its practices in relation to maintenance, management and destruction of records. Imposing time and cost constraints over and above the norms prescribed by RTI Act and Rules and charging Rs 750 per paper, which far more than Rs 2 for copy per page (as prescribed) will an additional burden on student, who has already paid an examination fee to the University. After paying tuition fee, admission fee, examination fee, the student is asked to pay Rs 3750 for copies of answer scripts in five papers. It is not end of the problem. He has to pay Rs 300 per paper for re-checking and Rs 500 per paper for re-evaluation. Charging so high a fee/cost will not only deny the accessibility, but also immunize the public authority from being accountable to students, which means, if a student cannot pay Rs 750, the Delhi University will become not accountable for its evaluation! This is against objective and scheme of RTI Act. Commission found merit in contention of the student appellant that prescribing unreasonable cost and time constraint will in fact amount to complete denial of information to the students on grounds of their economic status, which is in violation of Article 14, 15 and 16 of the Constitution of India. No citizen shall be discriminated on the basis of his access to resources or any criteria including poverty as per his fundamental report to equality. This means if you cannot afford, you cannot access. Delhi University Rules created two classes of students, those who can afford to have copy by paying Rs 750 and those who cannot. The Commission finally ordered to limit the cost of answer-sheet to Rs 2 per page, and make necessary changes to its practices, recommended Executive Council to change the rules accordingly, the CPIO to show cause for breaching the RTI Act, Rules and their own manual, why compensation should not be paid, directed all the Universities in India, including deemed Universities and all examining bodies to provide copies of answer sheet only at a cost of Rs 2 per page and make necessary changes within 30 days. The CIC also directed UGC and MHRD to comply with this order. (Based on decision Abne Ingty v. CPIO, Delhi University, New Delhi, CIC/SA/C/2015/901116, on 15th Jan 2016).